The first Indian standard (IS) for bullet resistant jackets for protection against small arms and ammunition for the defence, paramilitary and police forces was released recently. The standard was adopted by the Bureau of Indian Standards (BIS) after a draft finalised by the Textiles Protective Clothing Sectional Committee was approved by the Textile Divisional Council. The standard, IS17051:2018, prescribes minimum requirements of bulletproof jackets against small arms and their evaluation procedures, according to Indian media reports. It specifies five size designations based on chest/bust girth: XS (72-80 cm), S (above 80-88), M (above 88-96), L (above 96-104), XL (above 104-112). The jackets will be ergonomically designed to minimize restrictions of movement, which has been ensured through field tests. It also includes optional requirements of quick release system, dynamic weight distribution system and high buoyancy jackets and covers physical requirements like protection area of soft armour panel (SAP) (front, back, groin, neck, collar etc ) and hard armour panel (HAP), (front, back and side for 360 degree protection), maximum aerial densities of BR panels and total weight of jacket. It also specifies six threat levels faced by Indian Army and paramilitary. The standard has been customised to Indian needs and would reportedly lead to reduction in fatal casualties to the security forces. Until now, the bullet proof jackets and helmets used by the Indian security forces were based on the NIJ III+ standard, which refers to ballistic resistance of a body armour. The queries and concerns of the industry will now be addressed by BIS and laboratories of the Defence Research and Development Organisation, K Vijay Raghavan, principal scientific adviser to the Indian Government, said at a meeting jointly organised by the Federation of Indian Chambers of Commerce and Industry and BIS. Equipment and methodologies for testing the standard that falls into the broader category of technical textiles. The challenge is reducing the weight of the jacket from 10.5 kg to 6 kg in consonance with scientific criteria. The standard should be adopted in all procurement orders of the security forces. 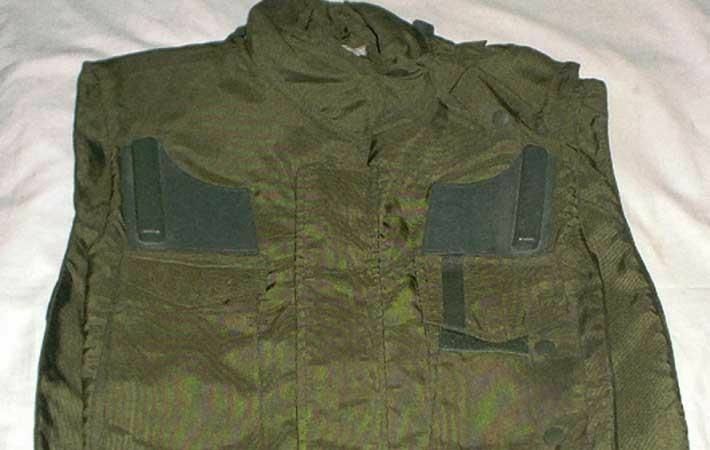 The first Indian standard for bullet resistant jackets for protection against small arms and ammunition for the defence, paramilitary and police forces was released recently.The standard was adopted by the Bureau of Indian Standards after a draft finalised by the Textiles Protective Clothing Sectional Committee was approved by the Textile Divisional Council.